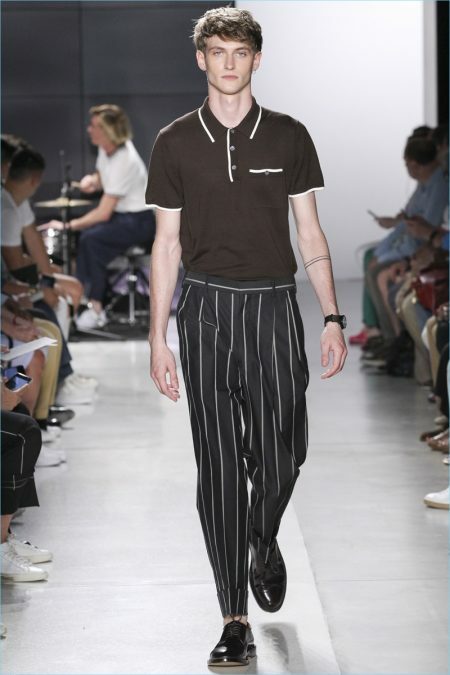 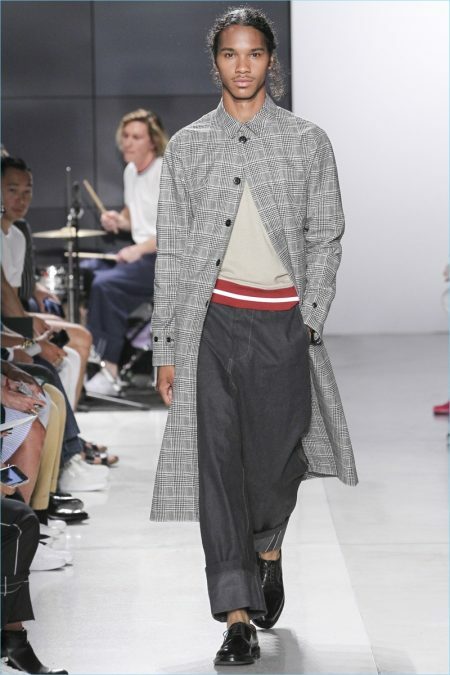 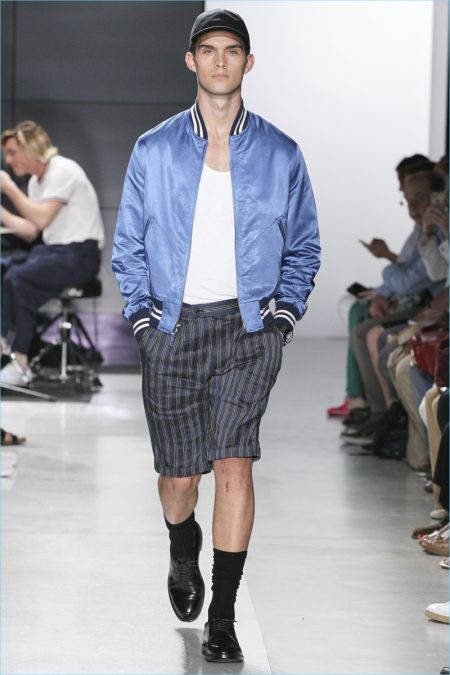 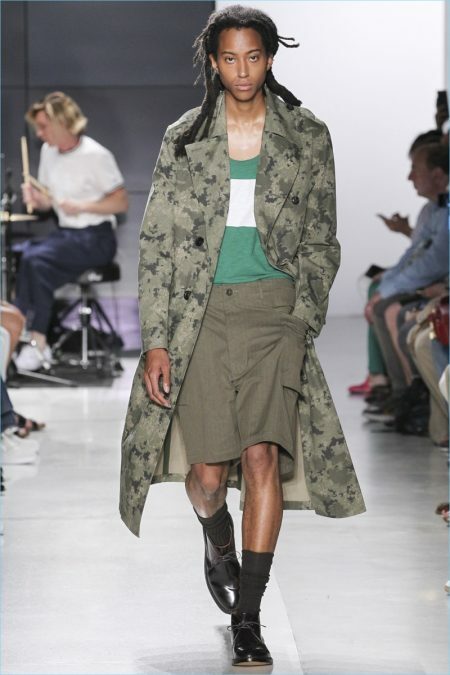 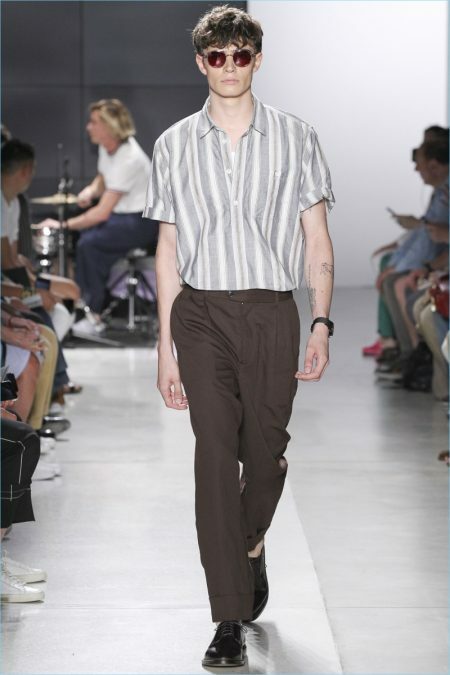 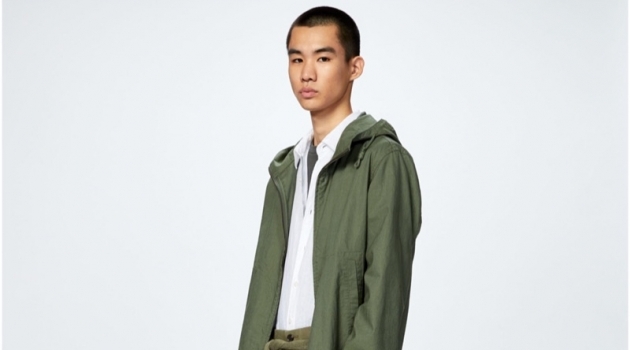 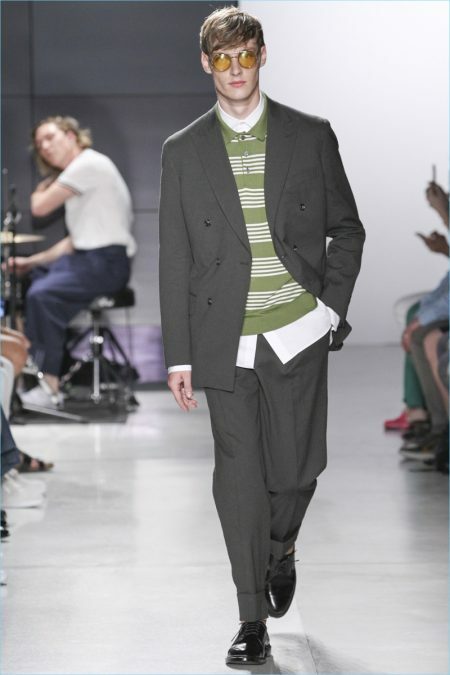 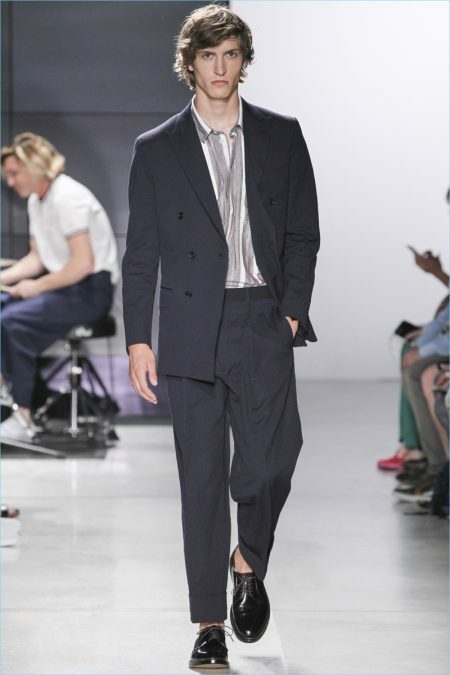 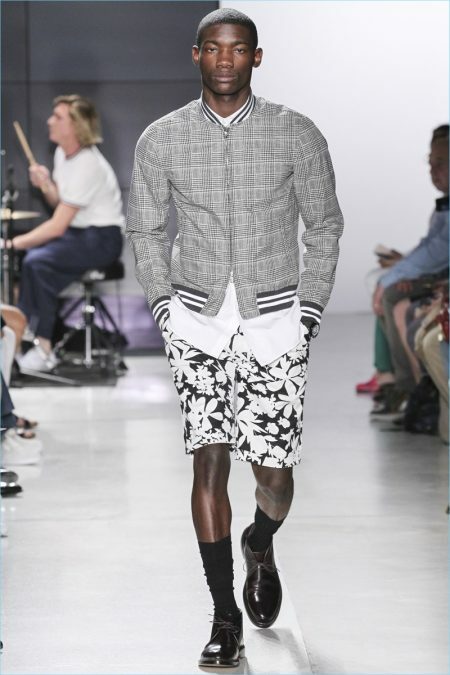 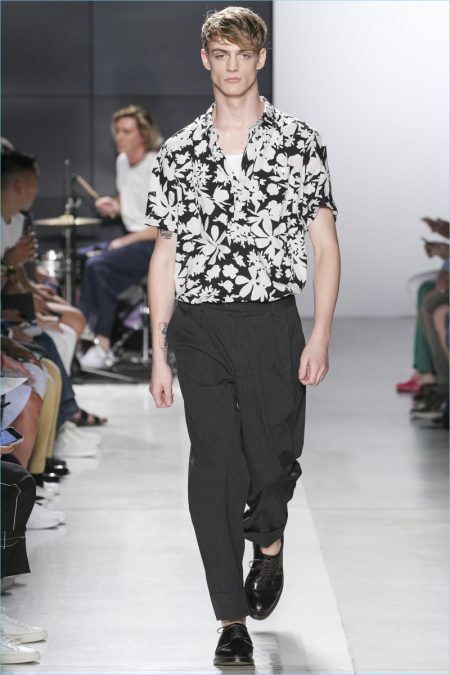 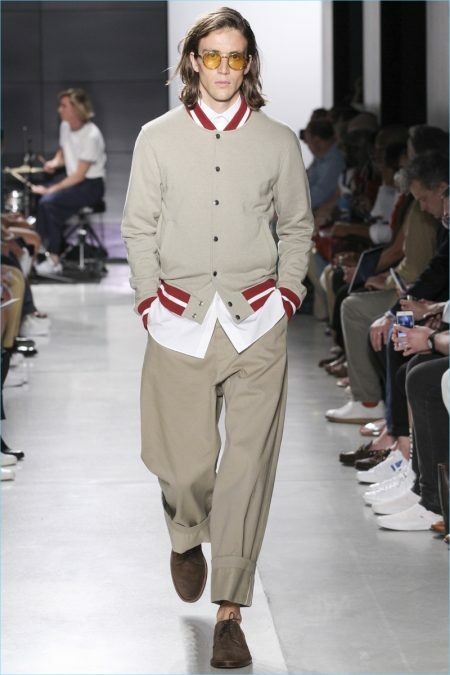 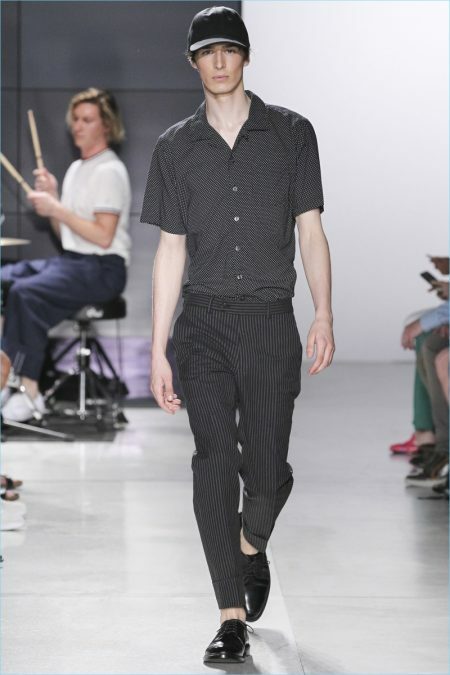 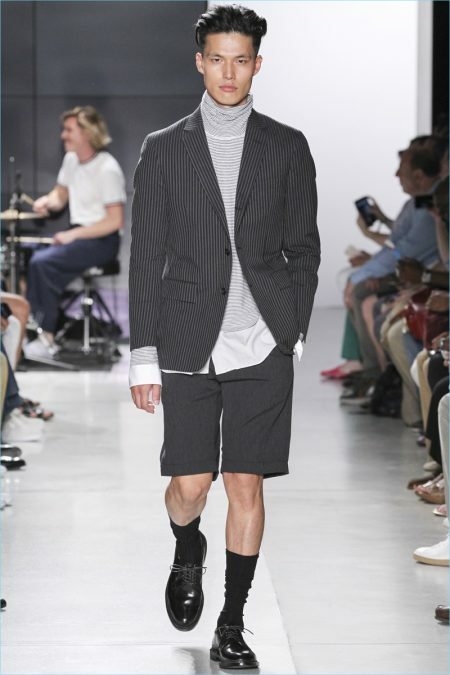 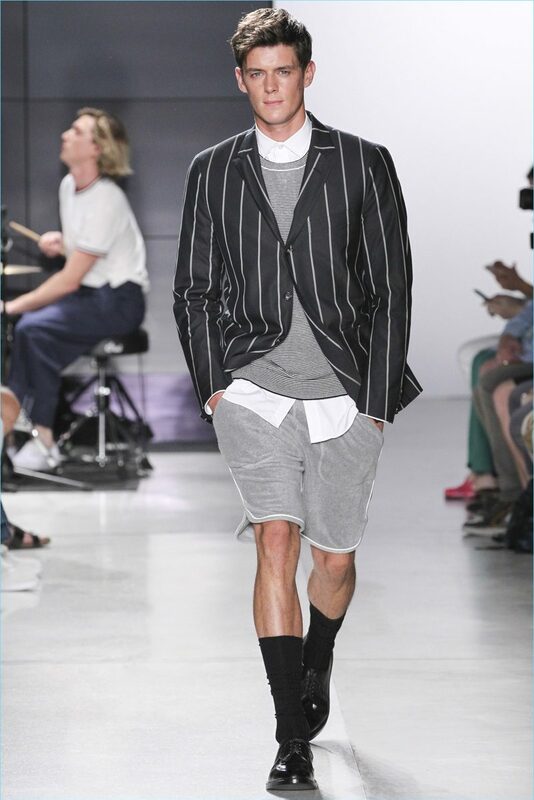 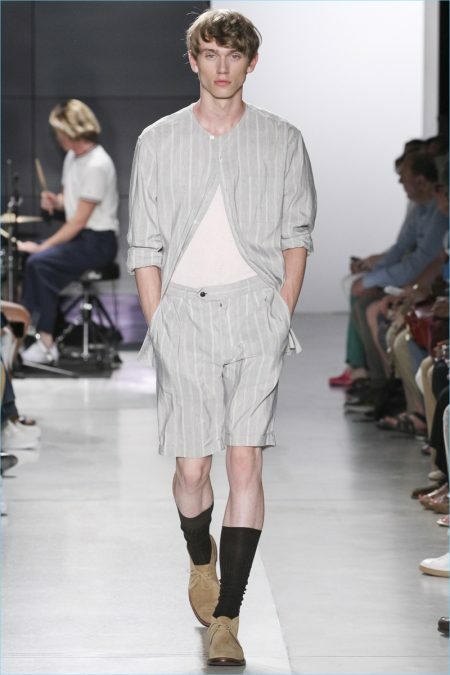 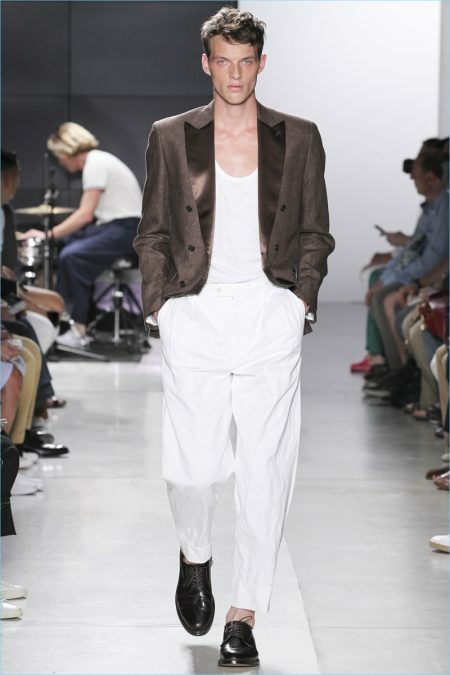 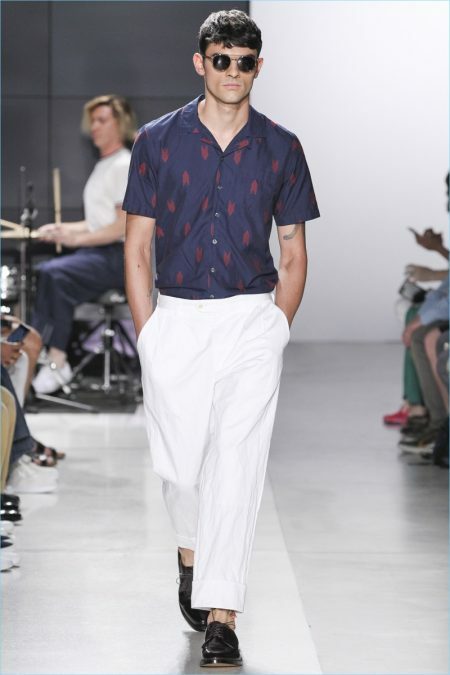 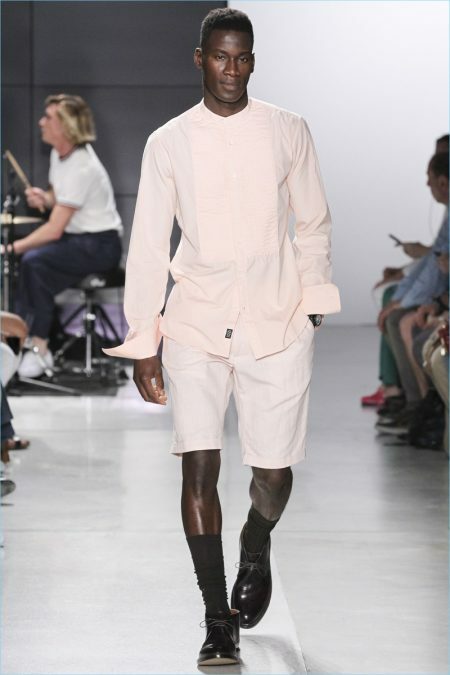 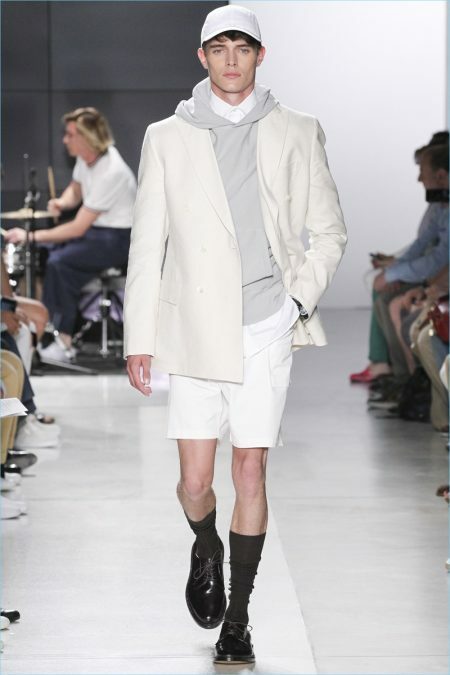 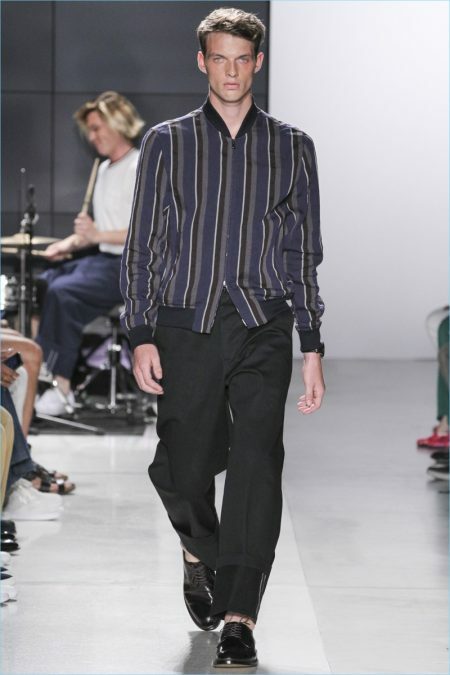 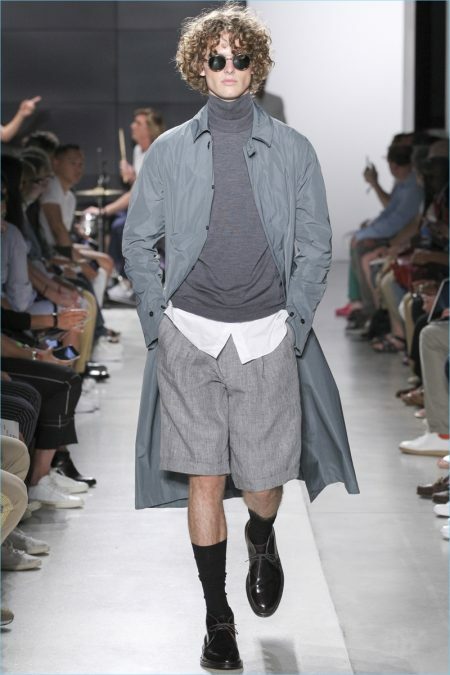 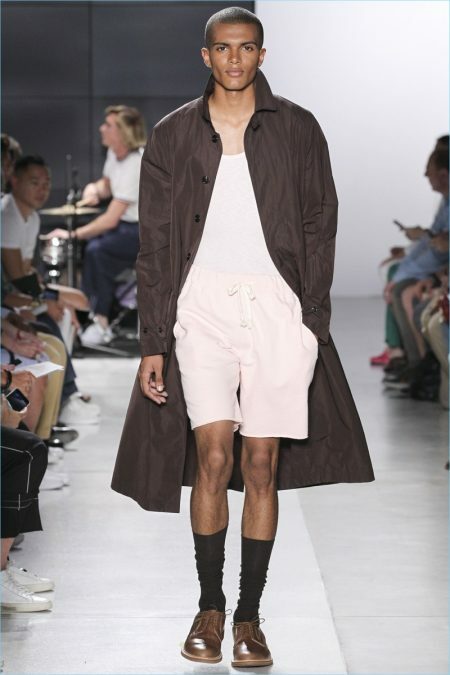 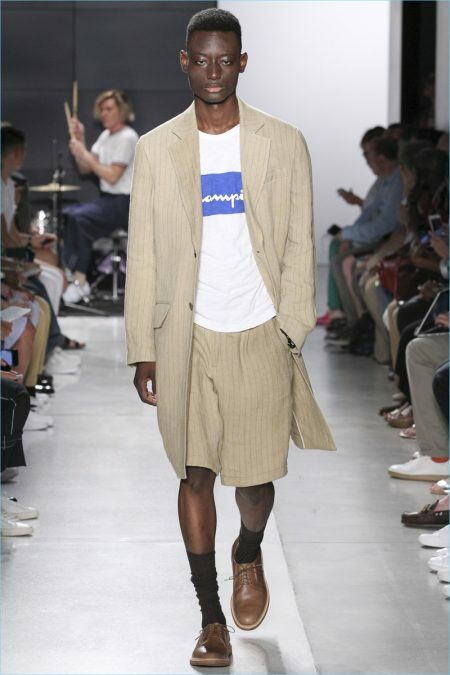 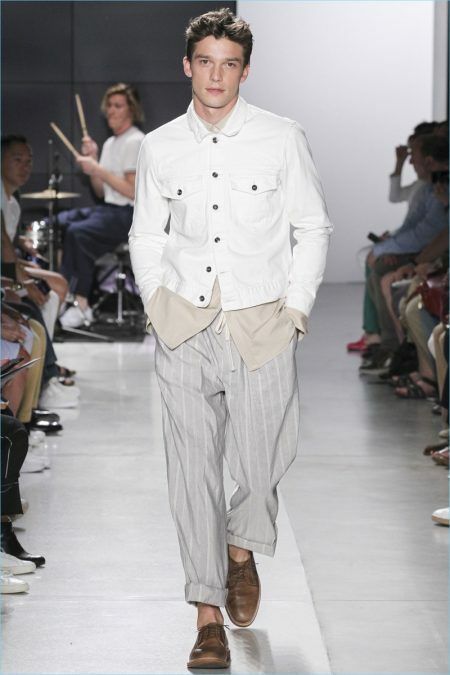 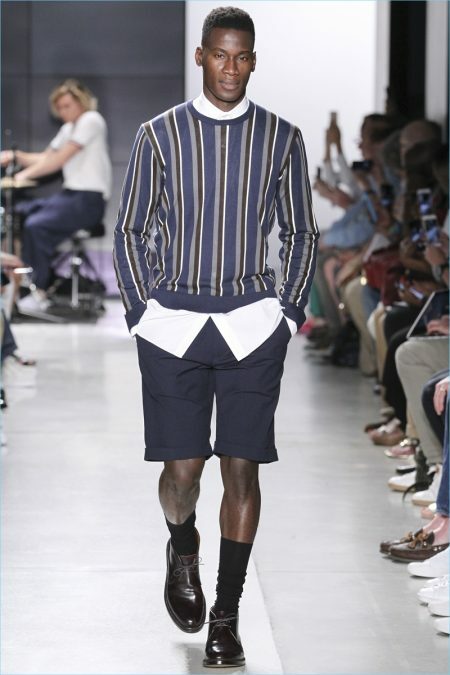 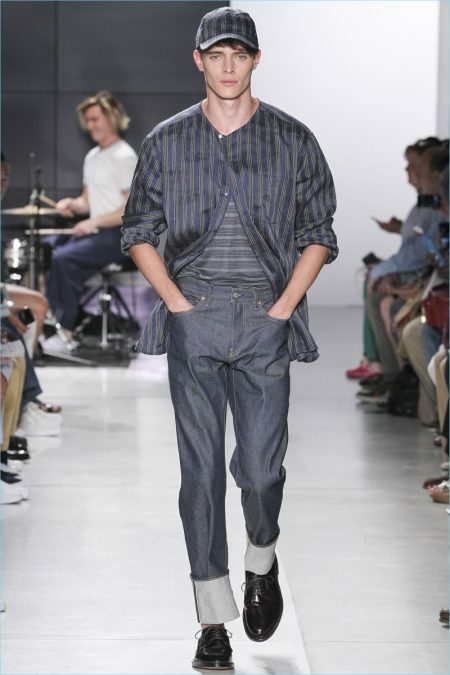 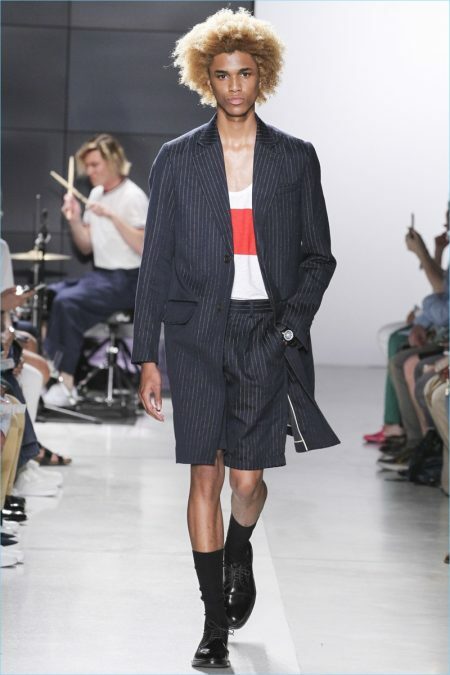 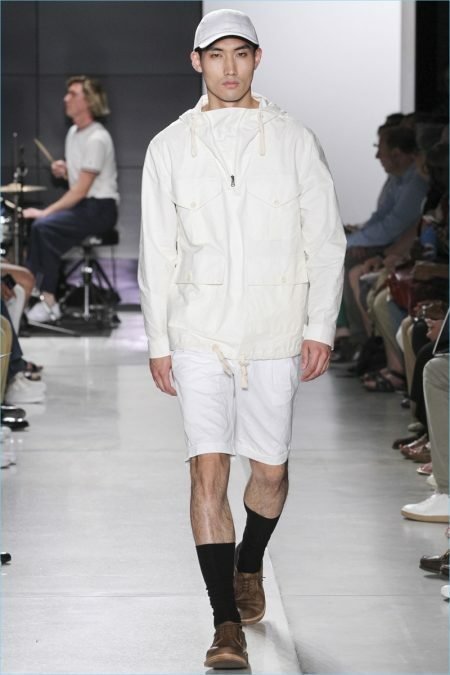 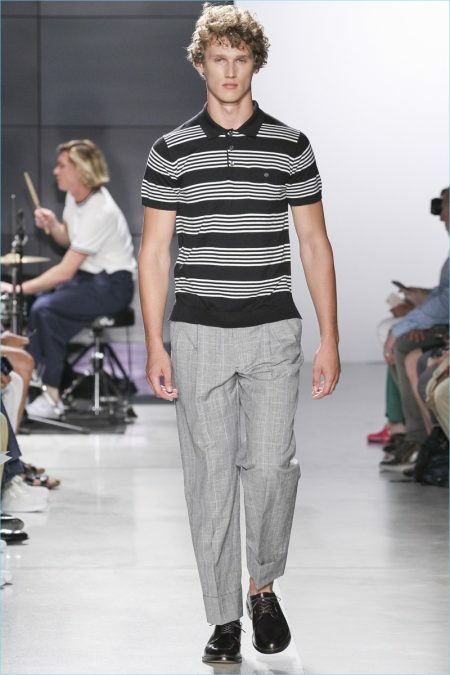 Todd Snyder looks to his father Dennis for the inspiration of his spring-summer 2018 collection. 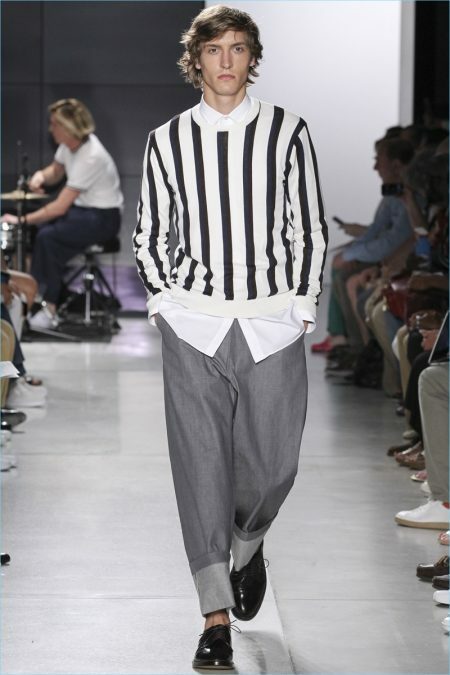 The designer takes a style note from his dad and embraces a penchant for breaking the rules. 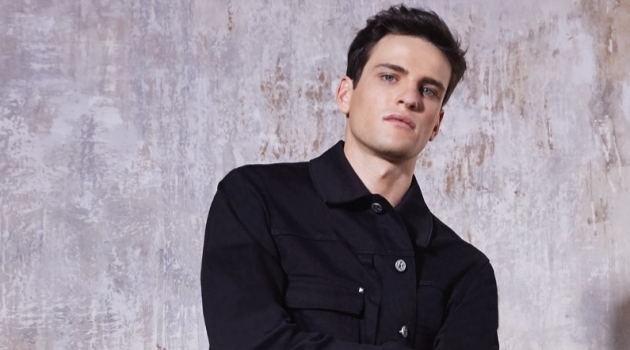 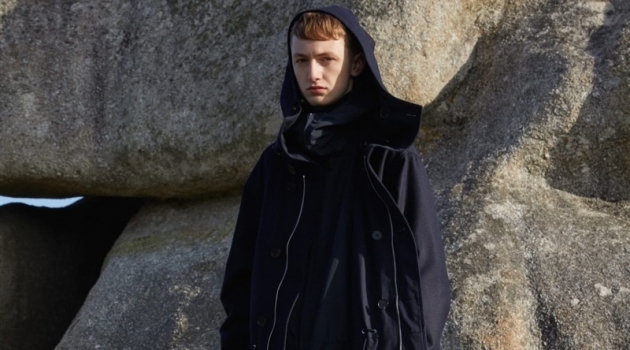 Casual and formal fashions collide for Snyder's latest collection. 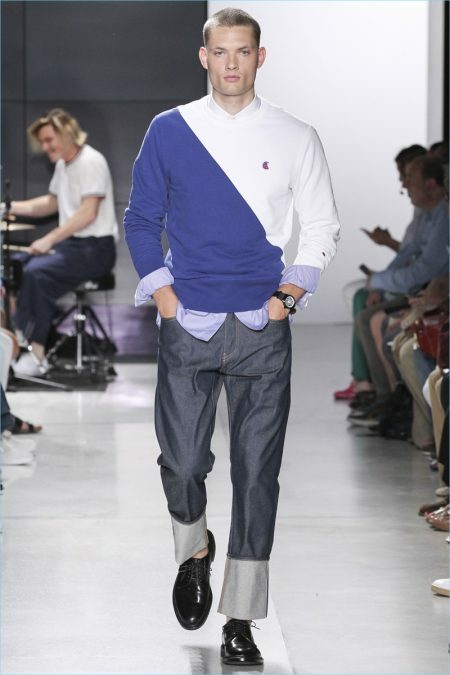 It's here that a relaxed approach to classics turns out a number of chic options. 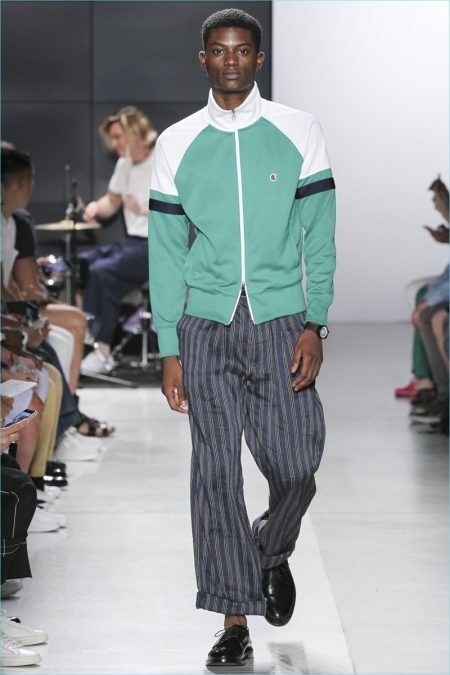 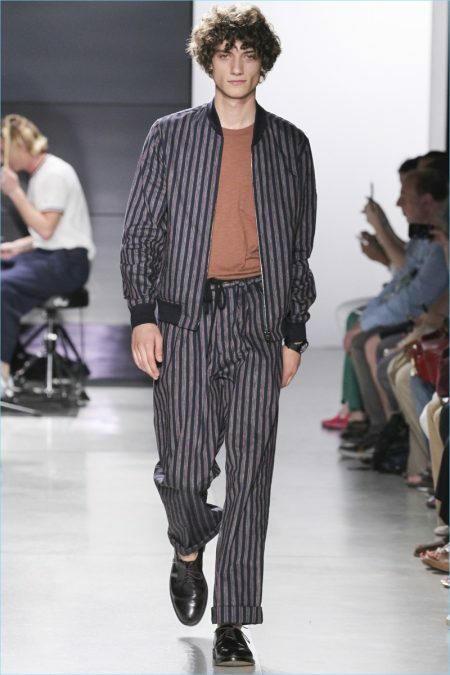 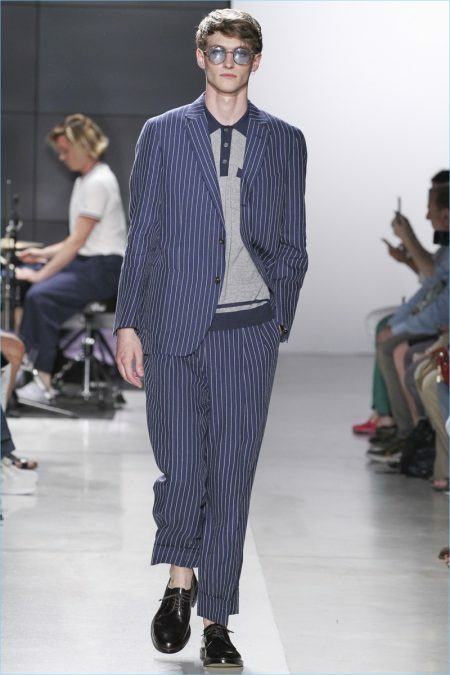 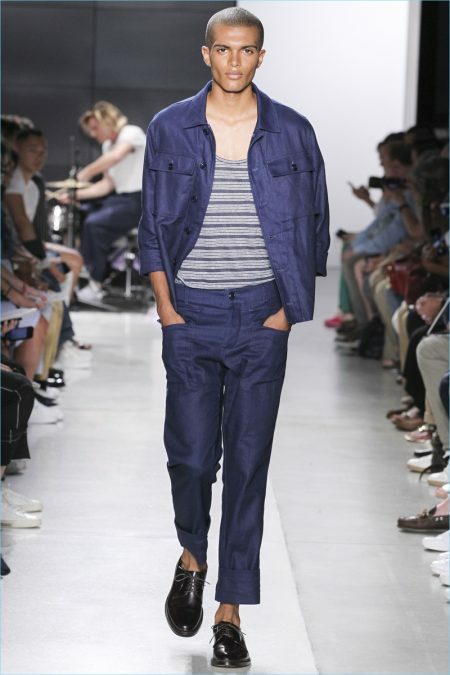 Stripes and pinstripes dress a range of bomber jackets, straight-leg trousers, blazers, sweaters, and more. 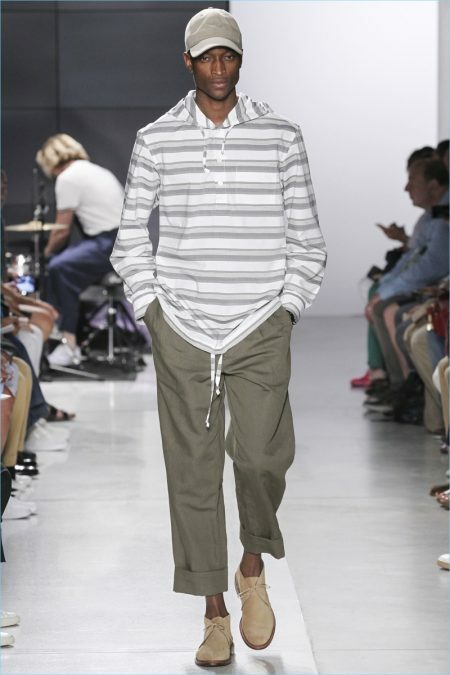 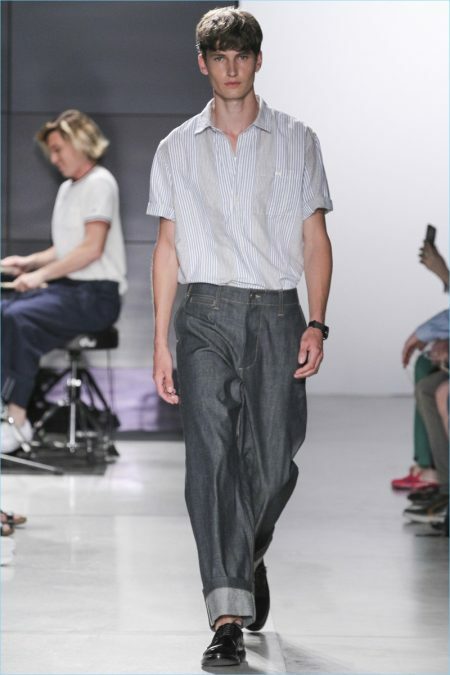 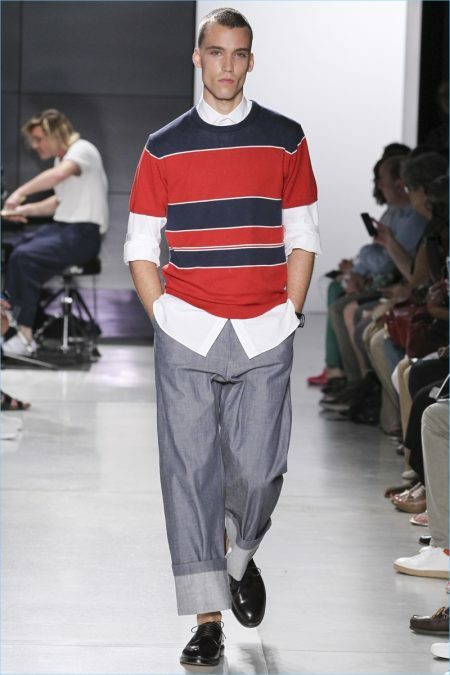 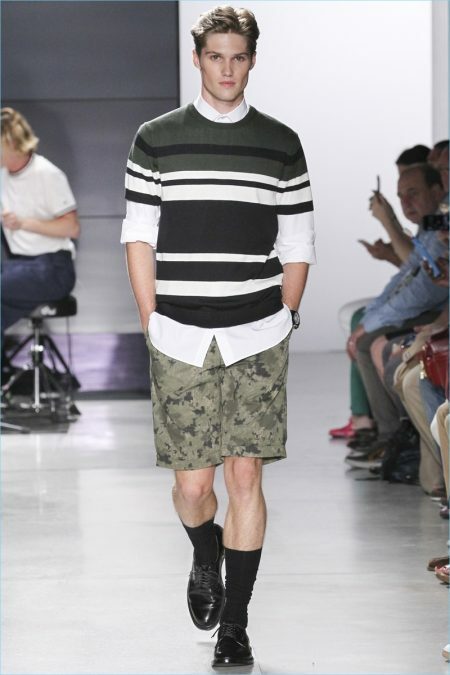 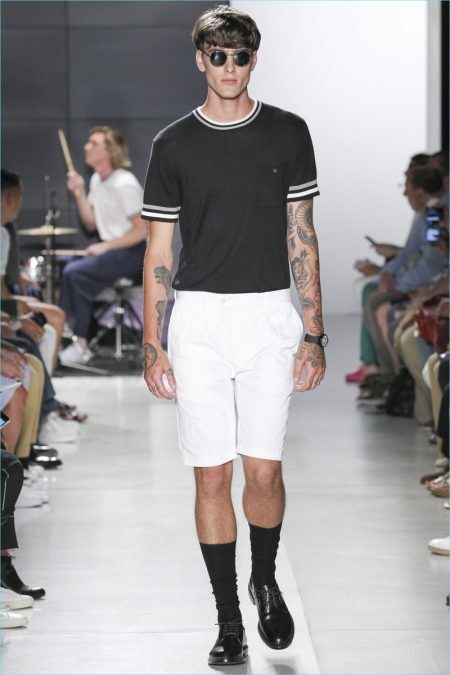 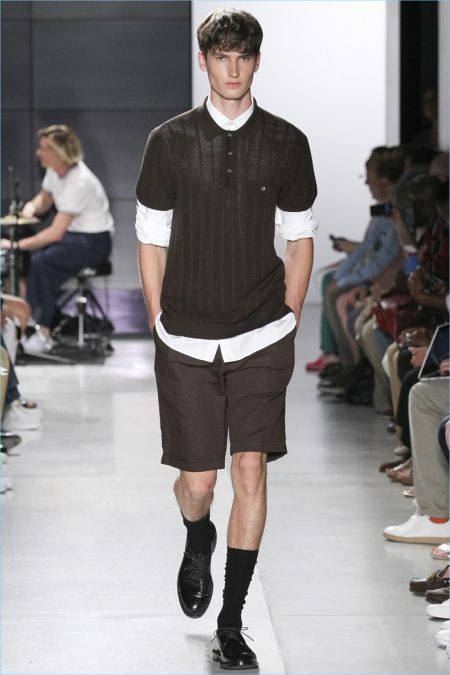 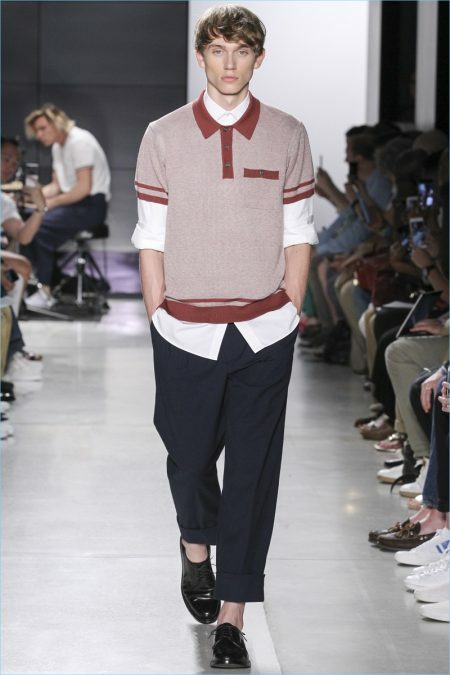 Snyder also serves up oversize jeans with cuffed shorts, short-sleeve shirts, and polos. 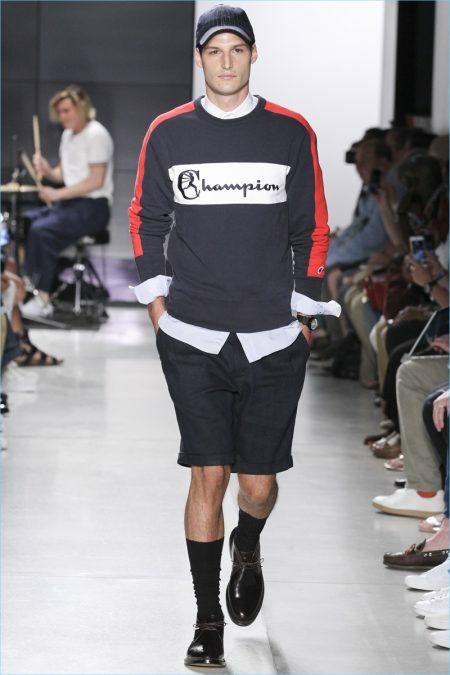 Continuing his collaboration with Champion, Snyder also delivers sporty essentials.